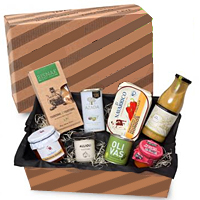 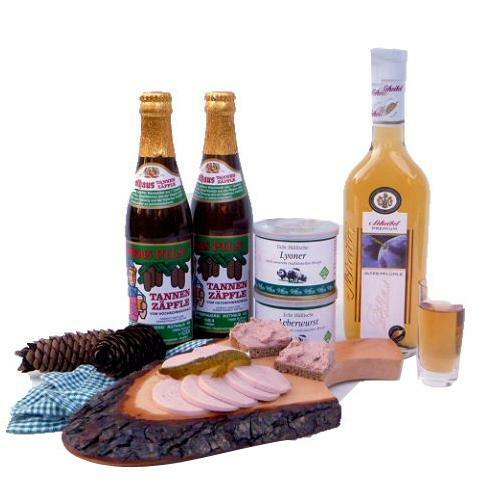 Description: Enthrall the people close to your heart by sending them this Thrilling Super Dooper Gourmet Gift Hamper which comes with all the ingredients necessary to make one happy. 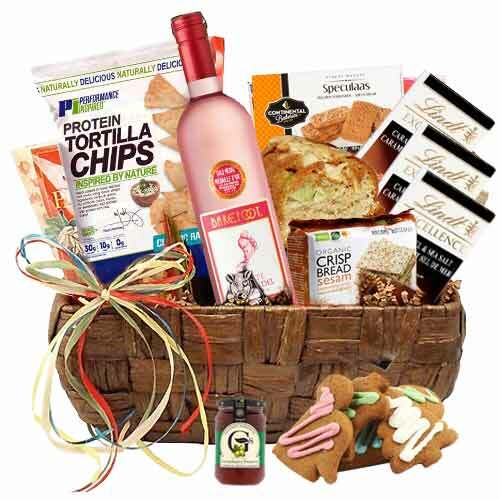 Put your feet up and relax with our Celebration Gift Hamper that is presented with 2 Different Flavors Pick Up 28 gram each, 8 Minis Split (Bounty, Twix, Mars, Snickers) 10 gram each, 4 Nougat Bars (Classic Nougat, Nougat Brittle, Royal Nougat, Mocca Nougat) 10 gram each, 4 Bags of Haribo in Different Designs (Licorice, Golden Bears, Fruit Gums etc. 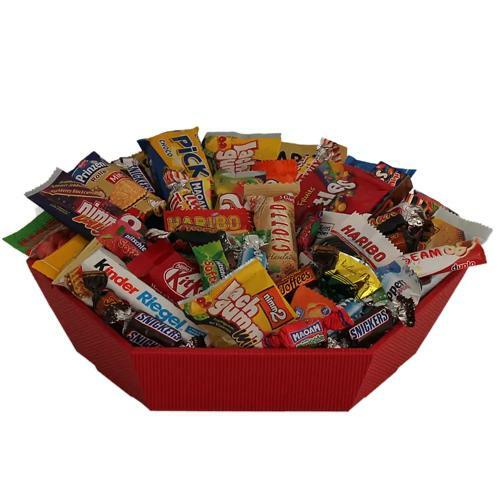 ), 2 Lollies in Different Flavors 10 gram each, 2 Prinzenrolle Minis 37.5 gram each, 3 Different Flavors Ritter Sport Minis 15 gram each, 3 Kit Kat Mini 15 gram each, 2 Laugh Rubber Bags by Storck 8 gram each, 2 Knoppers Mini 10 gram each, 2 Hanuta Mini 10 gram each, 4 Hazelnut Pralines Chocolate, Milk Cream, Toffee Crisp 10 gram each, 1 Chocolate Alpine Milk 40 gram and 4 Different Flavors Hitschler Chewy Candies 4 gram each. 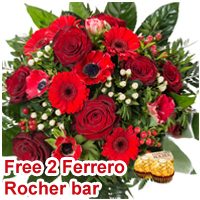 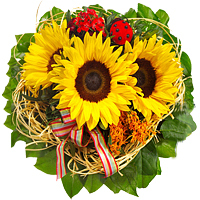 All these items are presented in a beautiful Oval Shaped Wicker Basket. 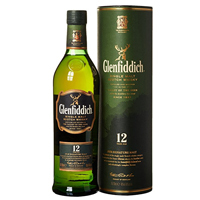 Congratulate your best friends and closer ones on their success by gifting this Memorable Collection of Glenfiddich 12 Single Malt Scotch Whiskey that is a pure piece of joy.